I don't seem to be catching up with jobs since I came back from my holiday and there have been a few things on mind mind to boot, so here is a little card, by way of catch up! I still have a couple of commission cards to do but inspiration is absent at the moment. This has inlaid dog die-cuts on a chevron backing. It should have been for Muse too but I was too late! When a friend asked me to make this card, she just said she wanted it to be pretty...I hope it's that! 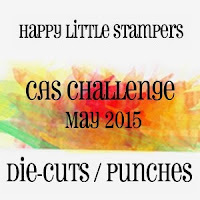 It's another for the Happy Little Stampers Die-cuts challenge! It's quite large... A5 size and I made a box for it too. Your first card is definitely adorable with that strip of puppies! 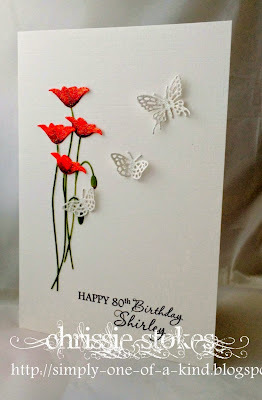 And beautiful definitely describes your second card- I love the lacy butterflies! 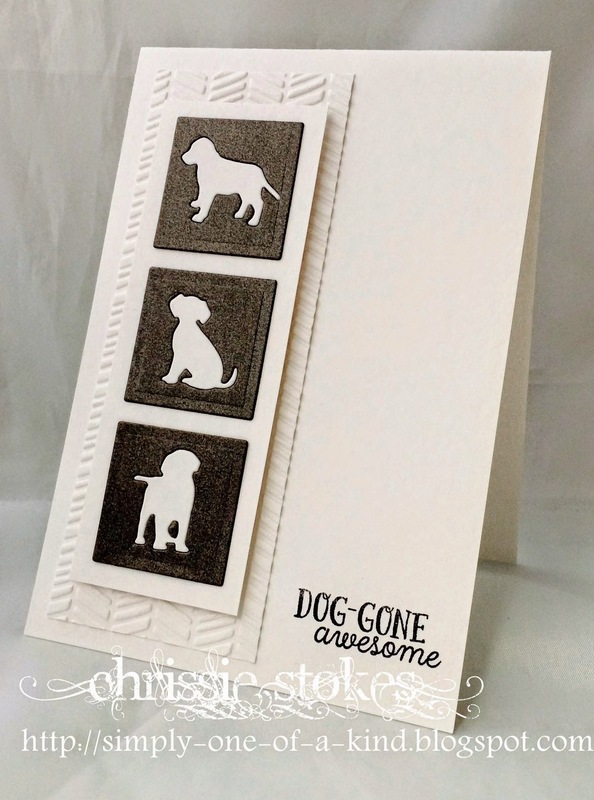 Your doggie card is so cute, Chrissie! Love the inlaid die cuts! 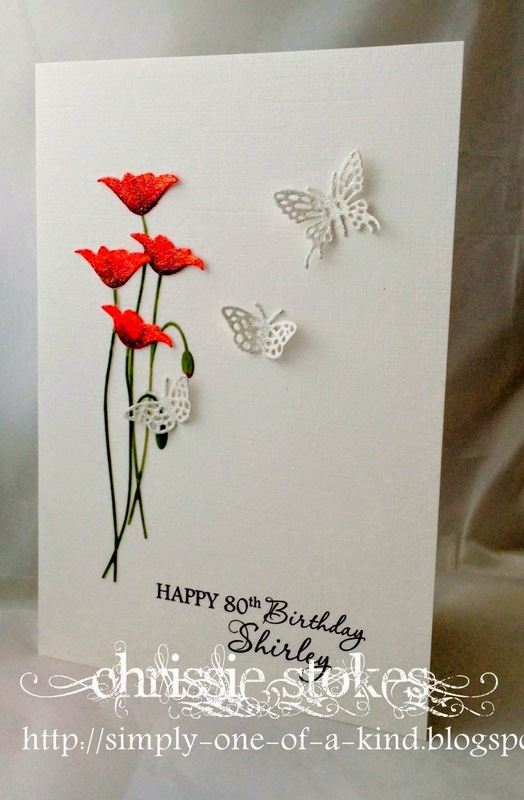 Love the Posies on your 2nd card, too...so elegant! 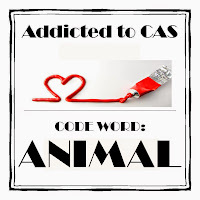 Thanks so much for playing along with us this week at ATCAS! Love both of your cards Chrissy and the poppy card is just gorgeous. Those dogs are so cute and I love the poppy card. Both are awesome - that 80th is stunning with the vivid red! Thanks for joining in at ATCAS! Beautiful cards Chrissie-I do love the dogs! Love those cute little doggies and the chevron bg, Chrissie!!! The sentiment is so sweet!!!! Your poppy card is simply stunning!!! How delicate and beautiful those little butterflies are!!!! The lovely red really pops against the white!!!! Very, very beautiful!! !